The Nigeria Football Federation (NFF) have confirmed that Nigeria's new Nike jersey will be unveiled at the Rio 2016 Olympic Games. Chairman of the NFF Media and Publicity Committee, Suleiman Yahaya-Kwande, announced that the new jerseys designed for the country’s football teams will be revealed at the Olympic Games in Rio de Janeiro, Brazil in August. Meanwhile, the Super Eagles have arrived in Luxembourg City ahead of Tuesday’s international friendly game against Luxembourg. 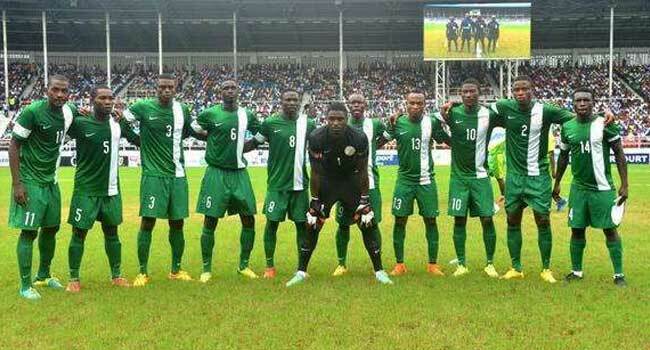 According to the Nigeria Football Federation on their official website, the delegation left Rouen, where they played Mali on Friday, at noon on Sunday and are now at the Alvisse Parc Hotel, which is located on Route d’Echternach in Luxembourg City. It was also revealed that the Super Eagles later trained at the Stade Josy Barthel, venue of Tuesday’s clash with Luxembourg. On Friday, the Eagles pipped Mali 1-0 in the first of their double header international friendly games. The only goal of the game was scored by Kelechi Iheanacho, who struck in the 77th minute after coming on as a substitute.